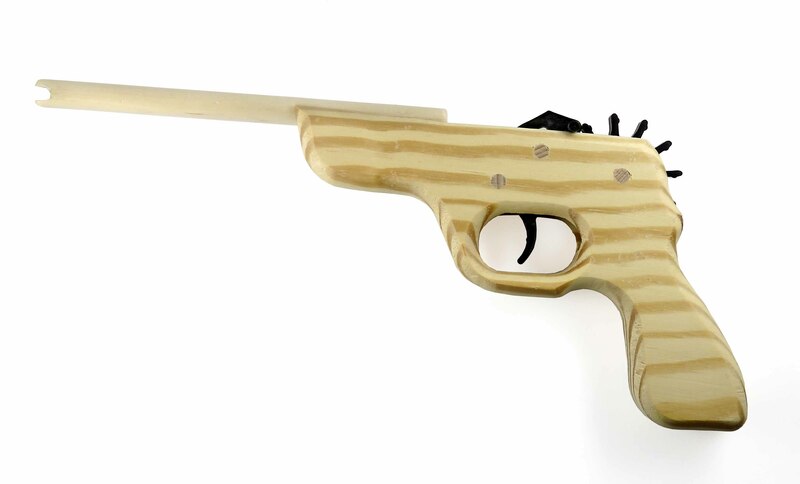 These are the best rubber band guns we have found! The patented mechanism shoots 12 rubber bands in a row up to 25 feet. They are solidly made and look great. They are made from unfinished wood. You could stain and varnish if you like or paint them. Or just keep them as they are. Use your own rubber bands, or order our "Ammo" just for these gun. Order the Standing Target to shoot at and practice. For ages 6 and up, but caution should be taken with all toy guns. Does not include ammo. Made in USA.